It can happen to any of us but now with The Pill, it will never happen again! 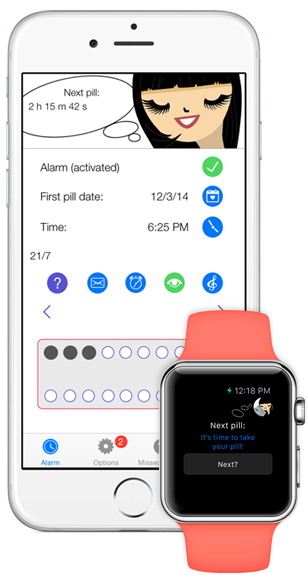 The application reminds you when you need to take your pill with a notification. It works also in plane mode. Choose your pill pack, the start date of your pack and at what time you should take your pill.